Anthony Beudaert, Nil Özçağlar-Toulouse, MeltemTüreb (2016). Published in Journal of Business Research Volume 69, Issue 1, January 2016, Pages 57-64. Anthony Beudaert, Nil Özçaglar-Toulouse, and Meltem Türe (2015). Published in R.W. 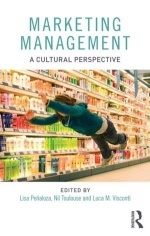 Belk, J.B. Murray et A. Thyroff, Research in Consumer Behavior, vol. 17, Routledge, pp. 349-366. Purpose: This paper aims at revealing the process of identity reconstruction for individuals who have acquired sensory disabilities, as well as the contribution of consumption to this process. Methodology/approach: The data was collected through both interviews conducted in France and autobiographical accounts. Nacima Ourahmoune & Nil Özçağlar-Toulouse. Paper published in Marketing Theory 2012 12: 81. Nil Özçağlar-Toulouse, Amina Béji-Bécheur, Marie-Hélène Fosse-Gomez, Maud Herbert and Sondes Zouaghi. Paper published in Recherche et Applications en Marketing, 24(4), p.57-76, 2009. The French Consumption Objector – Lifestyle Choice or Identity? Chapter written in Downshifting: a theoretical and practical approach to living a simplified life, a book edited by Franco Gandolfi and Hélène Cherrier (2008, Ed. Icfai University Press). Marie-Hélène Fosse-Gomez & Nil Özçağlar-Toulouse. Paper published in European Advances in Consumer Research, Volume 8, 2008.